Why Is It So Much Better to Use a Caller ID App? All Android phones have a basic Caller ID functions, which mean that if you added someone to your contact list, you’ll see his name when is gonna call you. The main problem with this feature is that most of the phone calls we’re getting are from numbers that do not appear on our contact list. Also, people are getting more and more spam calls and robocalls from telemarketers who are trying to sell them something or even to rip them off by asking for their credit card etc. In order to tackle this acute problem, we developed an app called CallApp which is one of the first Caller ID apps on Google Play store. 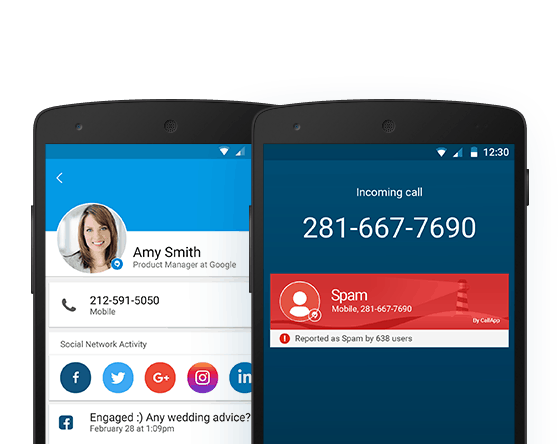 CallApp can block calls from unknown or unwanted numbers, telemarketers, and robocalls. The app can help mobile users to know who is the true caller behind the phone call. For those of you who don’t know, CallApp can also block messages from IM apps such as WhatsApp, Viber and much more. CallApp Caller ID & Block has a bunch of unique features that will make your mobile phone even smarter, we’ll discuss these features in our next blog post. Until then, don’t forget to block unwanted calls from spammers with CallApp, they will not bother you again.